The ITU wants to use numbers to identify emergency contacts in a mobile phone directory, so for example ambulance personnel know who to call when they find a mobile phone on an injured person who can't communicate. If phone owners add numbers 01, 02, 03, and so on to a chosen contact name, for example "01father", "02wife" or "03husband", in the mobile phone directory, emergency workers in any part of the world will be able to identify contacts in order of priority and then notify them, according to a statement from the ITU (International Telecommunication Union). To formalize it the ITU has developed a standard. 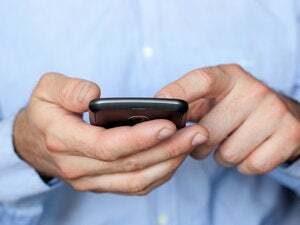 The label ICE is already used informally in English-speaking countries to identify the contact that a mobile phone user would want called "in case of emergency." However, it is not easy to identify or understand for people who do not use or recognize the Roman script. Using numbers internationalizes the ICE concept, and exploits the fact that even though written scripts differ around the world, these digits are universally recognized, making it usable by anyone regardless of language or script, according to the ITU. Although he likes the basic idea, Mark Newman, chief research officer at Informa Telecoms, thinks using numbers risks complicating things. But the big challenge will be to get users onboard; so far operators haven't marketed the use of the ICE term. This has hampered adoption among mobile subscribers, according to Newman. If adopted it has the potential to greatly reduce stress on overworked emergency workers, according to Malcolm Johnson, Director of ITU's Telecommunication Standardization Bureau. ITU says it will work with an organization called ICE4SAFETY, which supports the new concept, to promote this new way of identifying an emergency contact in a mobile phone's directory.